A few months ago I went to Paris for work. I had hoped to see the Mona Lisa in the Louvre after i had finished but it was a Tuesday and everything is closed in Paris on a Tuesday,no one told me that. I came home with only a blurry picture of the Eifell tower as a souvenir. Oddly I know exactly what the Mona Lisa looks like having seen many pictures of it in books when I was younger and now on the internet. This has left me wondering what exactly are those reproductions that we see on the internet. Is it the Mona Lisa or is it something else? Can I have an opinion on that famous smile or thoughts about Da Vinci's genius of being a master of both art and engineering without ever actually seeing the original? To help me try and understand what digital images are i decided to see what would happed if I base64 encode the Mona Lisa and other images of artworks. I wrote a short Python script to convert a binary file to a based64 encoded text file. Opening this text file in a text editor was odd. The data wasn't recognisable as the original Mona Lisa in any way. There is no way of telling what parts are the background or the different colours that are present. The Mona Lisa image file I used was taken from Wiki Media commons and according to Wikimedia the image is in the public domain so I could use it without fear of anyone demanding money for its use. That doesn't go for all images of the Mona Lisa. Corbis a company owned by Bill Gates sell licenses to images of the Mona Lisa. Is there's a better image of the Mona Lisa because its the official licensed version. Would I get more please or a better understanding of the work if I looked at the Corbis image over the Wikimedia Image? Not sure if that has any meaning or if its just a strange human thing that we give meaning to something without any meaning, after all that string represents some digital data. To complete this exercise I decided I would take these text files and create digital images from them and put them up for sale. Maybe in a few years time these images are what robots will hang on their walls of the homes. The images are available from Redbubble as everything from a hoodies to iPhone covers. Not sure Van Gogh,Vermeer and Da Vinci would ever have imagined that their paintings would be transformed into a series of text characters adorning mugs and iPad covers when they painted them. Last year I volunteered at the first Technopop festival in East London for three weekends. The first two weekends was helping teach kids to program in Scratch and build and program Robots. On the last of these weekends I was stood next to a boat, that might sound boring but its not just any boat. The boat in question belongs to Sarah Weldon of Oceans Project, Sarah is aiming to row around the U.K a challenge named The Great British Viking Quest As well as rowing around the coast of the U.K Sarah will be documenting her progress with wearable technologies and using an online learning platform to communicate STEM (Science,Technology,Engineering and Maths) subjects to students all around the world. All the time Sarah will be collecting data as part of her PhD research into 'effects of calorific stress on the neuro-cognitive performance on ocean rowers'. It was really cool to talk to Sarah at Technopop festival and find out all about the rowing. I really liked the technology aspect to the expedition and was impressed by all the planing and preparation she has to do for the trip. Skipping forward a few months I have started to become interested in paper model making and am trying to build a model McLaren P1 Car from a kit . Lets say its going quite badly at the moment. I've already scrapped the first two versions of it so decided to take a break before trying again. But had become interested in the process of turning a 3D model into a Papercraft version. Also wanting to learn how to use Blender to create 3D models,knowing that Sarah had just launched her Kickstarter to raise the funds for the expedition and wanting to support her I had an idea. I would make a Papercraft model of her boat. Creating the model in Blender wasn't too hard. There are a few ways of doing it but by far the simplest is to start off with a cube and then stretch,extrude and add faces and edges as needed. Its not perfect replica but I didn't want to make it too complex knowing that it would be being turned into a paper model, so wanted to keep it nice and simple. After exporting the model to create the Paper mesh I used Illustrator to scale it up and then split into three pieces to make it a decent size and fit onto a single A4 piece of paper. It took about three prototypes altering the tabs and tidying up a few details before I was happy with it and send to Sarah. The model is now available on the Oceans Project Website Why don't you download one, make it and decorate and send the results to Oceans Project. It would be great if you too supported The Great British Vikings Quest by backing the Kickstarter for the project. Do you remember Farting Statues from last year? I like to think of it as the cult hit of 2014. I like to think that its far ahead of its time and in many years to come it will be seen as a defining moment in the fart apps genre. Probably won't though. I'd heard of Twine a few weeks before but not really looked at it much, and I still hadn't intended to as I wanted to concentrate on the Horniman game. That changed when I visited the Natural History Museum one lunchtime. Wanting to see Sophie the Stegosaurus that had recently been put on display I headed to the Dinosaurs Gallery, but no Sophie. Discovering later that Sophie wasn't with the rest of the Dinosaurs but in the Earth Hall gave me a couple of ideas. One is a game based around Dippy and Sophie and the other was a re-thinking of the traditional museum guide or map. The Dippy & Sophie game will come later (Hopefully) but I got working straight away on the museum guide. 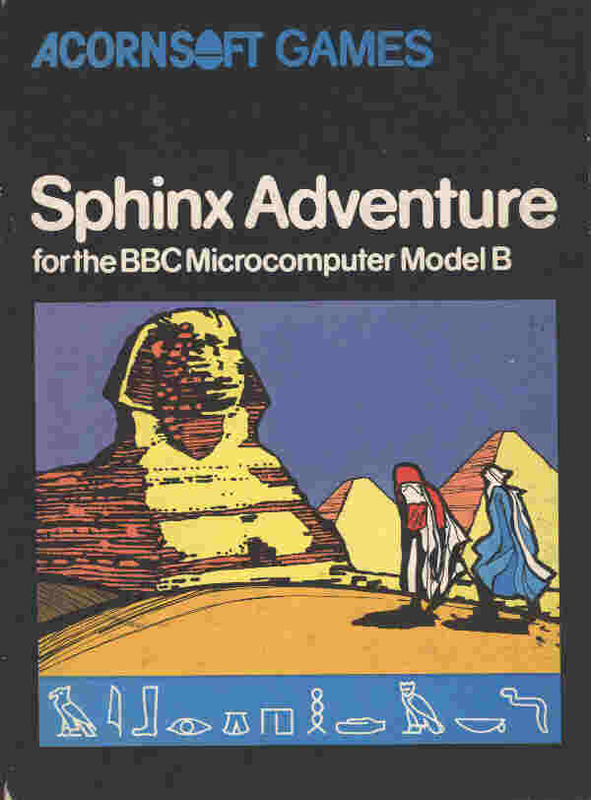 Using only the Natural History museum map and website I've created a basic interactive guide basing it loosely on the early eighties text adventure games like Sphinx Adventure The guide gives you a description of your location and the options of where to go next. The guide is up online for you to try out. I'm not going to make any claims for its accuracy, as I've not had chance to try it out in the museum yet to check, but will do. I'll put the code up on github for anyone who wants to build versions or just have a look how it was built. It barely scratches what Twine can do using only links between the passages. There is the possibility to add in Macros,variables and add more interactivity. Would love to hear what you think of the guide and using Twine for developing interactive museum games.